And in Article " Electrical Rules and Calculations for Air-Conditioning Systems – Part Two ", I explained Types of Disconnecting Means for Air-Conditioning Systems. Also, in Article " Electrical Rules and Calculations for Air-Conditioning Systems – Part Three ", I explained identification and Marking of Disconnecting Means for Air-Conditioning Systems. 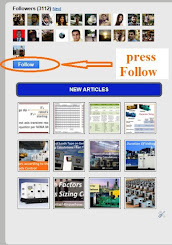 Today, I will explain in where to locate Disconnecting Means used for Air Conditioning Systems. There are several Rules in the NEC Code for a disconnecting means to be in sight from the equipment that it controls. NEC 430.102(A) requires an individual disconnecting means to be provided for each controller and shall be in sight from the controller location. This means that the controller must be visible and not more than 50 ft (15 m) from the disconnecting means. When providing more than one disconnecting means, At least one of them shall be readily accessible as per NEC 430.107. NEC Code uses the terms motor location and controller location instead of motor and controller because in many instances, the motor or controller is inside an enclosure and is out of sight until an access panel is removed. If the terms motor and controller were to be used, then it would be mandatory to install the disconnect inside of the enclosure. This is not always practical. The Commercial Building's roof-top air-conditioning units are examples. NEC 430.113 for Motor and motor-operated equipment with More Than One power Source shall be provided with disconnecting means from each source of electric energy immediately adjacent to the equipment served. Where multiple disconnecting means are provided, a permanent warning sign shall be provided on or adjacent to each disconnecting means to warn the user that other power sources are present. Fig.7: Synchronous motors with 3-phase power supply and dc power supply for excitation. Exception No. 1: Where a motor receives electric energy from more than one source, the disconnecting means for the main power supply to the motor shall not be required to be immediately adjacent to the motor, provided the controller disconnecting means is capable of being locked in the open position. Exception No. 2: A separate disconnecting means shall not be required for a Class 2 remote-control circuit conforming with Article 725, rated not more than 30 volts, and isolated and ungrounded. Three exceptions permit disconnecting means to be located elsewhereand not in sight of a motor. For motors over 600 volts, the controller disconnecting means may be out of sight of the controller, provided the controller has a warning label indicating the location and identification of the disconnecting means, which must be capable of being locked in the open position. 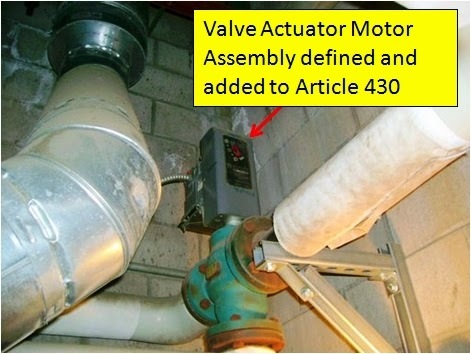 The valve actuator motor assembly is marked with a warning label giving the location of the disconnecting means. The provision for locking or adding a lock to the disconnecting means shall be installed on or at the switch or circuit breaker used as the disconnecting means and shall remain in place with or without the lock installed. Motors located in hazardous (classified) locations. Industrial installations have written safety procedures. The conditions of maintenance and supervision ensure only qualified persons service the equipment. Disconnect switches or circuit breakers that are located only behind the locked door of a panelboard or within locked rooms do not comply with the requirements of 430.102. The Disconnecting means shall be located within sight from and readily accessible from the air-conditioning or refrigerating equipment. 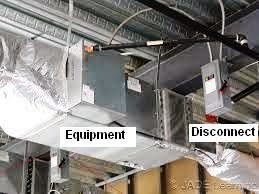 The disconnecting means shall be permitted to be installed on or within the air-conditioning or refrigerating equipment, but it can't be located in access panels or where it will obscure the equipment nameplate. This requirement is amendatory even if there is also a remote disconnect capable of being locked in the “open” position under the provision of the exception to 430.102(B). 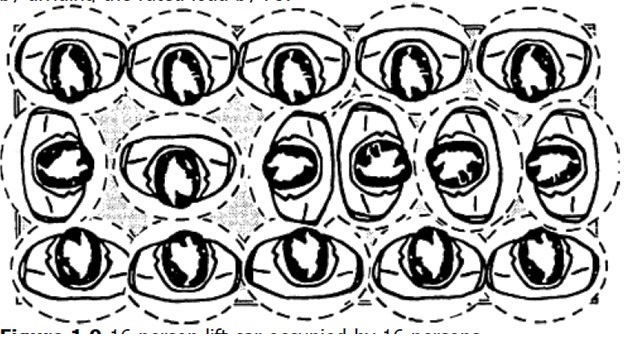 The disconnecting means is capable of being individually locked in the open position. The equipment is essential to an industrial process in a facility that has written safety procedures. This equipment may be in hazardous locations, and locating disconnecting means within sight of the motor may introduce additional hazards. An accessible attachment plug and receptacle can serve as the disconnecting means for cord-connected equipment as per 440.13. The receptacle for the attachment plug doesn't have to be readily accessible. An approved manually operable disconnecting means is installed in a readily accessible location within sight from the room air conditioner. You can’t, for example, run the cord through a sheet of plywood and plug it in on the other side. 1.8 m (6 ft) for 208V or 240V units. 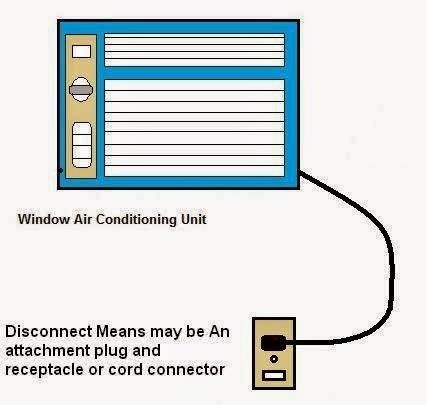 In the next Article, I will explain How to Size the Disconnecting Means used for Air Conditioning Systems. So, please keep following.